According to SUEZ, obligatory on-pack ‘eco-labelling’, featuring a new combined colour and number system could provide a cost-effective solution to simplifying recycling for consumers, without costing councils millions. Although there are many recycling labels and symbols, there is currently no consistent, universal guidance to help consumers make a more sustainable choice when purchasing items and to help them recycle. This was a problem found by consumers during workshops held by independent researchers for SUEZ. Consumers at the events said they wanted product and packaging labels which use a “traffic light” colour system and familiar symbols to indicate how easy it is to recycle the product. A number system which would provide clear on-pack instruction for recycling and disposal was suggested during a SUEZ-hosted workshop and is being discussed across the industry, with various organisations reportedly seeing some value in the idea, including SUEZ. SUEZ has put these ideas into a single concept which uses a “traffic light” coloured version of the existing Mobius Recycling Loop to inform consumers’ purchasing habits by indicating at a glance whether the product can be easily recycled or not, using green for the best performers and red for the poorest. Under the system, each product category (as determined by the availability of an appropriate recycling system) is also then assigned a permanent number, matching with the same number placed on the bins and recycling containers across the country. Businesses and councils would label their existing waste containers with the relevant numbers, depending on what can be recycled locally, rather than trying to match the hundreds of different systems by introducing new containers and infrastructure – an idea that many local authorities oppose, said SUEZ. During the consumer research, participants thought a negative or a “red” eco-label would destroy a brand’s reputation over time and would encourage them to swap brands. According to the national survey results, over half (57%) of the population said they would check environmental labels if they were introduced, and that this would influence their purchasing decisions. 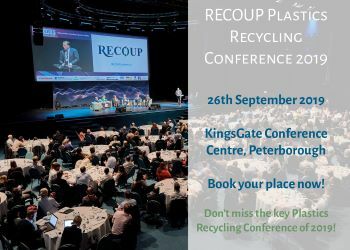 SUEZ recycling and recovery UK chief executive David Palmer-Jones said: “There have been numerous calls for ‘harmonisation’ to help us all recycle, but also understandable resistance to this, largely due to the cost, complexity and impracticalities involved in changing systems.